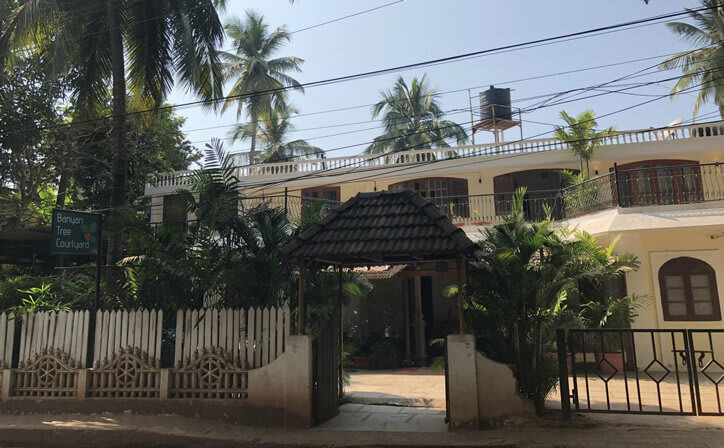 Banayn Tree Courtyard - a small hotel in Candolim Goa, offers you the location to give you another reason to celebrate Goa at its fullest. 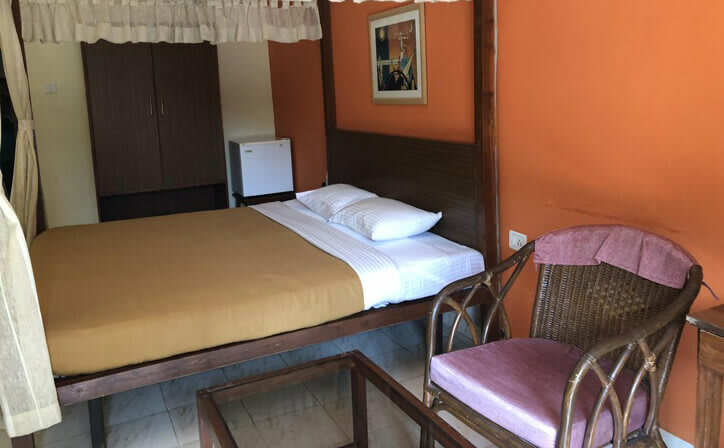 Our 10 rooms hotel is located in Candolim beach area, in North Goa, amidst the beach sands, on the way from Calangute Beach to Fort Aguada. 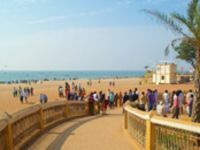 The Candolim beach is just about 6-7 minutes walk able distance from Banyan Tree Courtyard. 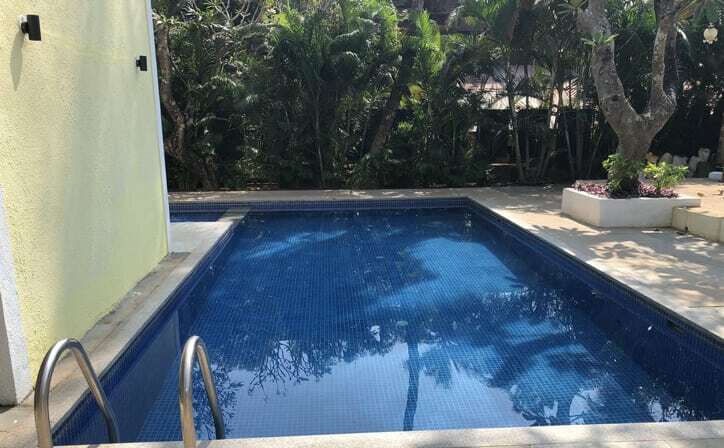 The hotel also has a small swimming pool along with a baby pool for your kids to enjoy. 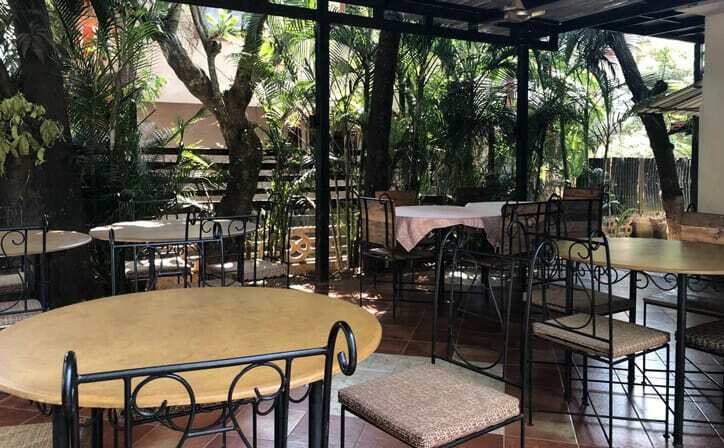 Banyan Tree Courtyard Goa is rightly located in proximity of some of the best restaurants to tickle your taste buds, and you may find some of the exotic variety dishes cooked by local and professional chefs. Shopping malls / outlets are also located very close to our hotel, so you may get the best bargains for the mementos from Goa you take along for your loved ones. 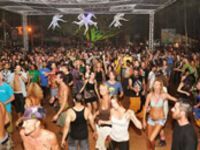 There is lot to do and see on your Goa Tour. Welcome to Goa! Meet our representative on arrival an proceed to your hotel (Banayn Tree Courtyard Candolim, North Goa). Transfers will be in an A/c coach on SIC basis. 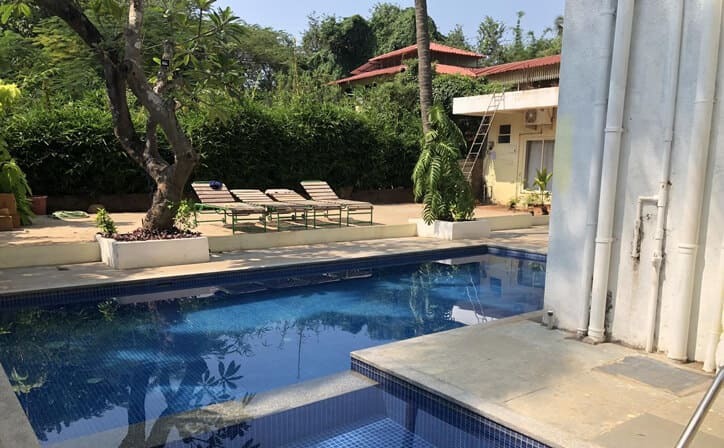 Reach hotel and check-in, enjoy your welcome drink and sink into the laid back goan vibes and prepare yourself for next upcoming leisure ful days. Rest of the day is free to explore around on your own. 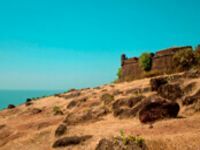 You can visit the Fort Aguada which is closely located to Candolim. Fort Aguada is one of the most popular tourist destinations of Goa, it stands as a testimony to the glory of Portuguese empire. Near to it is a Aguada lighthouse, this is one of oldest of its kinds in Asia as it was built in 1864. It is a four storeyed structure and when you take a view of the surrounding acreage from the lighthouse, it is just par amazing. For the ones who love to take photographs, this is a place for you to look out for beautiful scenes and clicking opportunities! 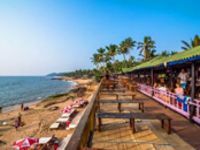 You can allso explore the famous Candolim beach which offers fantastic views and lot of world class dinning options in the nearby areas. The place is usually charged with tourists and one can find almost everything here. From Nightclubs to quaint and peacefull joints, here's something for everybody. Over night stay in Hotel Banayn Tree Courtyard Candolim, Goa. Enjoy breakfast at the hotel. 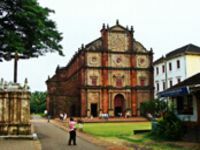 Proceed for half day goa sightseeing tour on SIC basis. 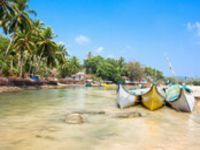 Visit the famous beaches around (Baga, Calangute, Anjuna, Fort Aguada, Vagator) and have your time to explore different shopping and leisure experiences that these small yet crowded beach villages have to offer. 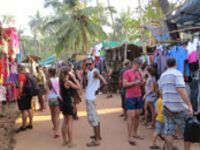 For the shopping lovers, Anjuna Flea Market near the beach is the attraction to see, which is held every Wednesday and lasts from morning till dusk. One can fill their shopping bags with trendy jewelry, clothes, antiques, earthen masks, mirrored bags or mementos from this colorful flea market. Women, don’t forget to bargain as it is accepted here! Later return back to hotel. Overnight stay in Hotel Banayn Tree Courtyard Candolim, Goa. Within 10 minutes drive away from Candolim Beach and Calangute Beach, Banyan Tree Courtyard offers a swimming pool and kids pool. 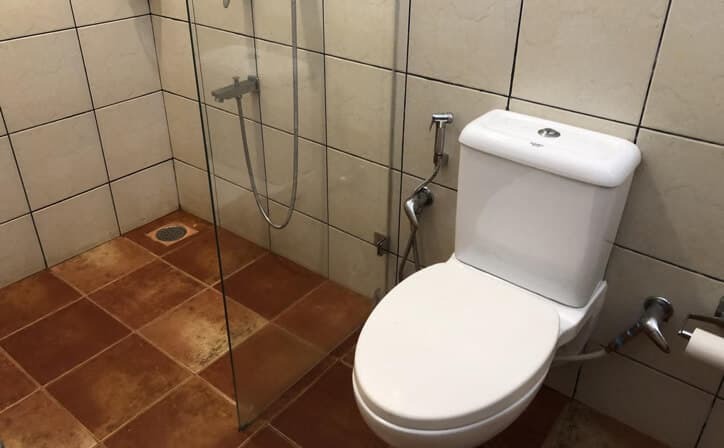 Given its prime location close to famous beaches, the hotel is popular with leisure travellers. 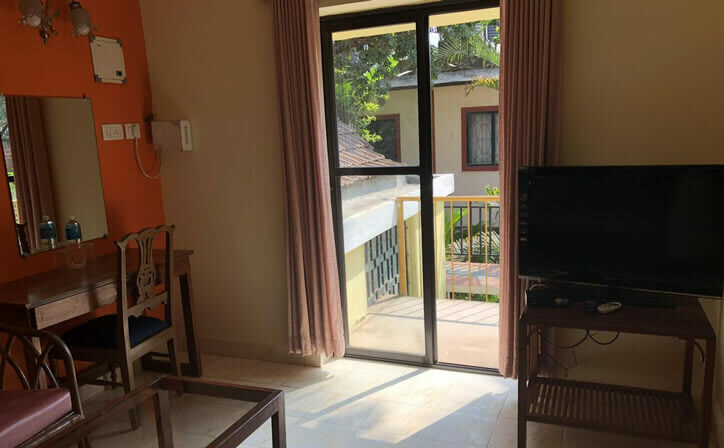 Banyan Tree Courtyard is a small 10 room home stay hotel in Goa. 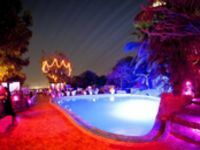 The hotel offers easy access to popular Calangute and Baga Beach in North Goa. It features 10 spacious and well-furnished rooms categorised as Standard, Deluxe and Superior Rooms. 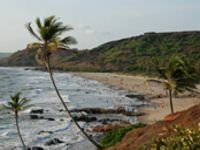 Carefull selected to give maximum satisfaction for your holidays in this Goa tour package. ○ 03 Nights accommodation in well appointed A/c room Banyan Tree Courtyard Candolim - North Goa.